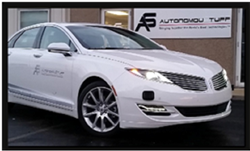 AutonomouStuff’s Automated Development Research Platform with two Velodyne VLP-16s and MobilEye Camera integrated for full 3D, real-time perception, enabling highest-level ADAS features. Combine LiDAR sensors with AutonomouStuff’s automated research development platform and you’ve got a striking marriage of technologies — an ideal fit for CES 2016, courtesy of Velodyne LiDAR and AutonomouStuff. The solutions will come together in a white Lincoln MKZ, with two Velodyne VLP-16 LiDAR Pucks discreetly integrated just below each of the headlamps. Based at Treasure Island Hotel mornings from Jan. 6-8 and at the Westgate Hotel each afternoon, the demonstration vehicle will also be electronically controlled and outfitted with a camera. AutonomouStuff, a Velodyne channel partner and Automotive Development Platform Solution provider, is working to advance autonomous driving by providing platform components that quickly enable vehicle automation. This includes the vehicle, 3D perception sensors like LiDAR (Light Detection and Ranging), radar, cameras and Harbrick’s PolySync™ middleware software. 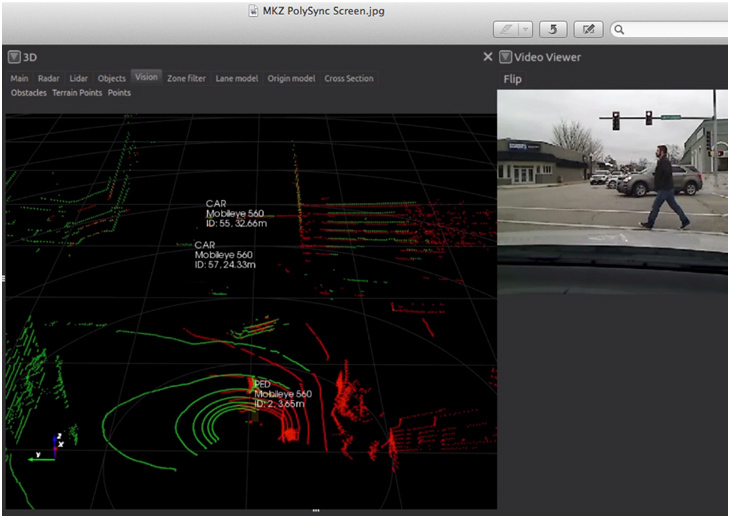 PolySync is an automotive focused software platform that pulls together millions of data points a second. Polysync Studio provides a real-time view from multiple perception sensors, thereby facilitating autonomous driving features for increased comfort and added safety. Representatives from Velodyne and AutonomouStuff will be available for interviews and commentary alongside the Lincoln MKZ. “Our demonstration vehicle will enable members of the news media to get up close and personal with technologies that are now on the cusp of transforming the experience of driving,” said Bobby Hambrick, CEO, AutonomouStuff. “Progress in autonomous vehicle development has been rapid precisely because companies like Velodyne and AutonomouStuff have been able to integrate these vital building block solutions quickly and effectively,” added Velodyne CEO Mike Jellen. Velodyne LiDAR (LVCC, North Hall - 3416) has already transformed a market in hyper-growth mode. The company is recognized worldwide for developing high-definition LiDAR sensors for autonomous vehicle applications, 3D mapping and surveying, robots on land and sea and all manner of UAVs. Velodyne’s LiDAR sensors are used by virtually every car manufacturer and tier 1 supplier in the business, as well as a few players outside the auto industry. To view the Lincoln MKZ at CES, please contact Jennifer Spoerri at Jennifer(dot)Spoerri(at)gmail(dot)com or call Edge Communications, Inc. (323-469-3397).